The RK8 RK Series Rack from Middle Atlantic is a 8 RU rack enclosure designed to house studio rackmount gear. Its MDF construction features a black-laminate woodgrain finish. This RK Series Rack includes a steel rack rail and a set of hardware for assembling the unit. It can house up to 200 lb worth of gear. 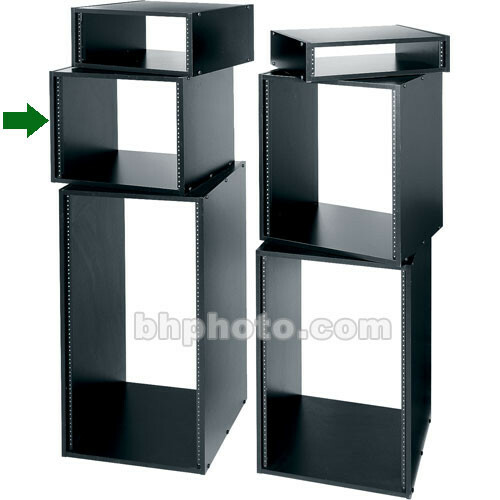 Box Dimensions (LxWxH) 25.0 x 21.0 x 6.0"
Is this rack the appropriate width for the Blackmagic Video hub?